Solution for "Clearing the Decks" Get organized with Suncor's new "Tidy Strap". Ideal for use in homeowner's garage or workshop or for clearing the decks on commercial and luxury boats. 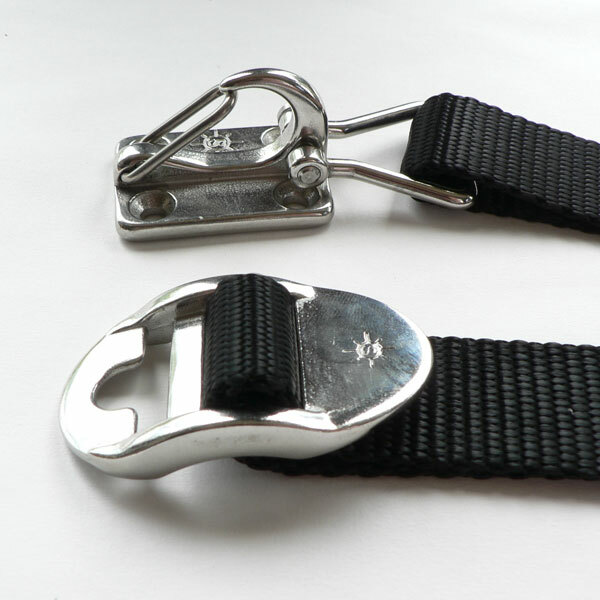 Heavy-duty cast stainless components and high quality webbing ensure items will stay secure until needed. The "Tidy Strap" is a much safer and more attractive solution for organizing. Hanging items from hooks or nails is dangerous. Items are not fully secured and bodily harm may occur if they are placed in traffic areas. 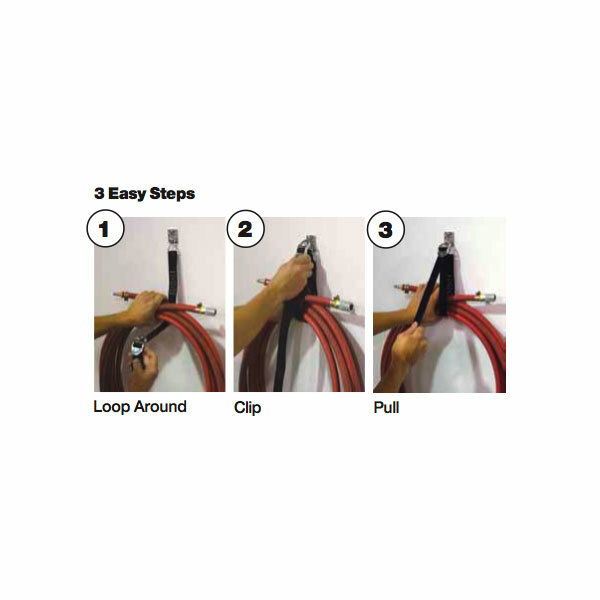 Note: end of webbing is secured to wall & ceiling clip (S0230-0000) using suncor's webbing shackle (S0231-0025). 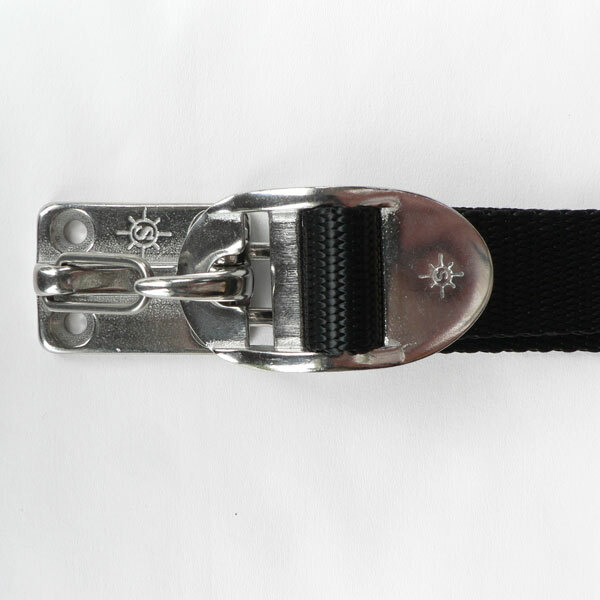 Assembly utilizes highest quality adjuster, which features teeth on back to securely hold webbing. Adjuster clips into the wall & ceiling clip. 350lb WLL is for assembly only and excludes fasteners. 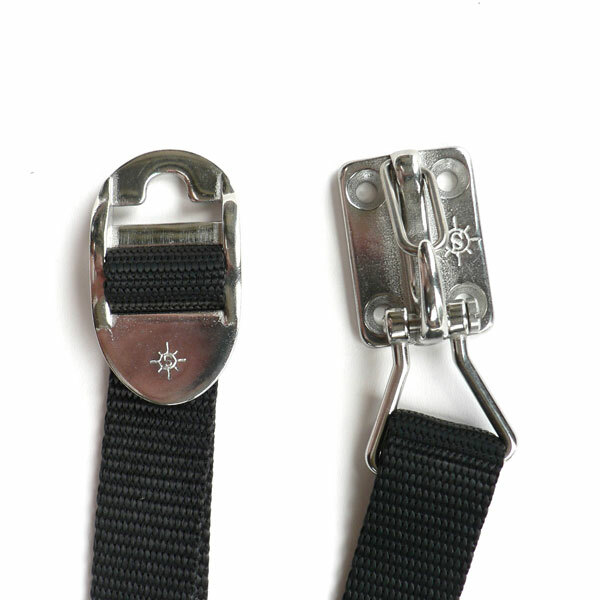 Webbing dimensions: 1" x 48"
Hardware included: wall & ceiling clip (S0230-0000), webbing shackle (S0231-0025), webbing, and Web Star Adjuster (S0217-0025). See individual part pages for details on each.